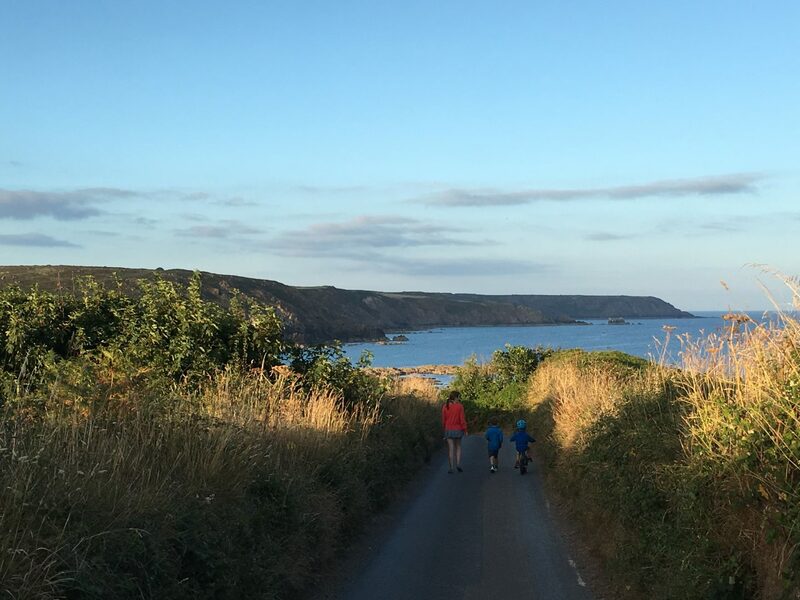 We split our 2018 family summer holiday between the Lizard Peninsula in Cornwall and the Isles of Scilly. With warm summer weather and incredible beaches, both destinations were perfect for our little family. 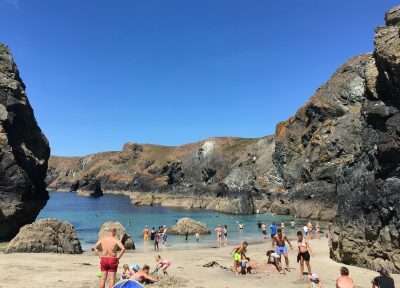 The Lizard Peninsula juts out of south west Cornwall, isolating itself from much of the tourism that swells the rest of the county come summertime. 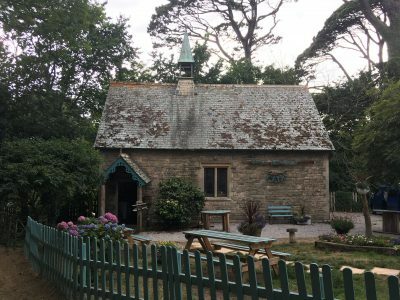 We stayed in a converted barn in the sleepy hamlet of Kuggar near Kennack Sands. 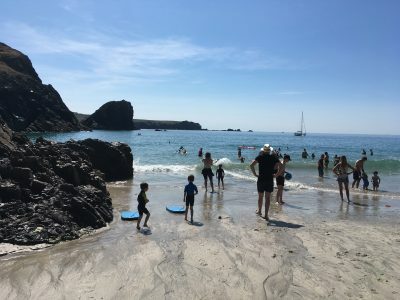 From here we had easy access to Kynance Cove, Lizard Point, the Helford River and many of the delightful beaches and harbours which make the Lizard such a joy to explore. Days were spent delving into rock pools, body-boarding and feasting on locally made ice cream. 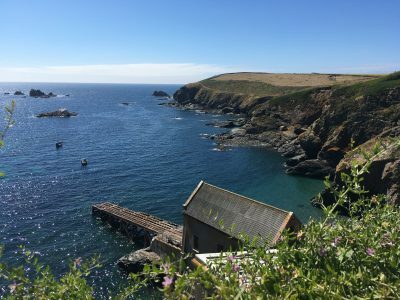 I’ve put together some of our Lizard Peninsula highlights along with places we hope to visit next time. 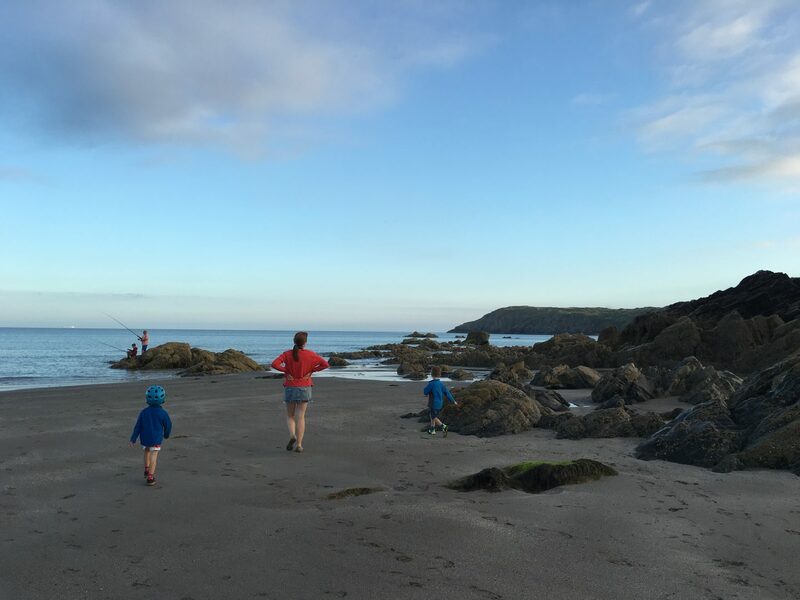 We were in Cornwall during what felt like the best British summer ever so we spent a lot of time exploring the Lizard Peninsula’s rugged coastline. 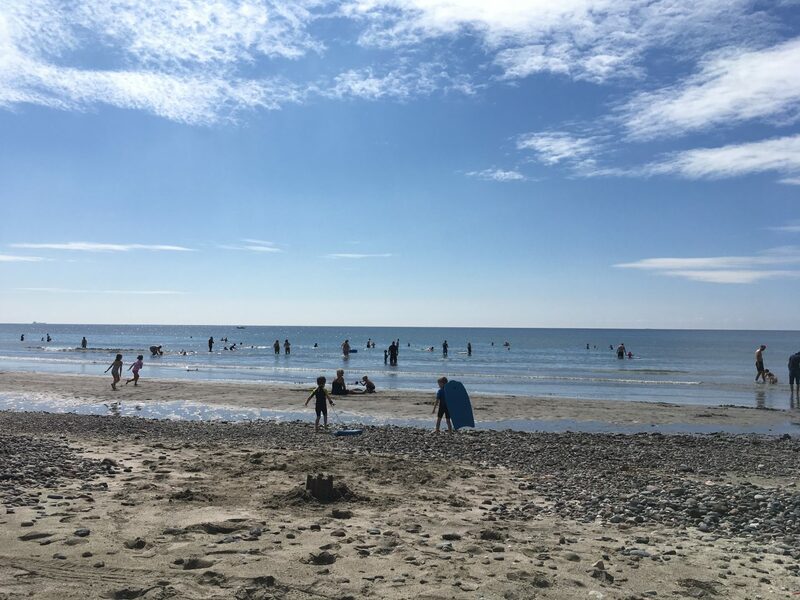 Often we stuck to our lovely local beach of Kennack Sands, just a 20 minute walk from our holiday house. 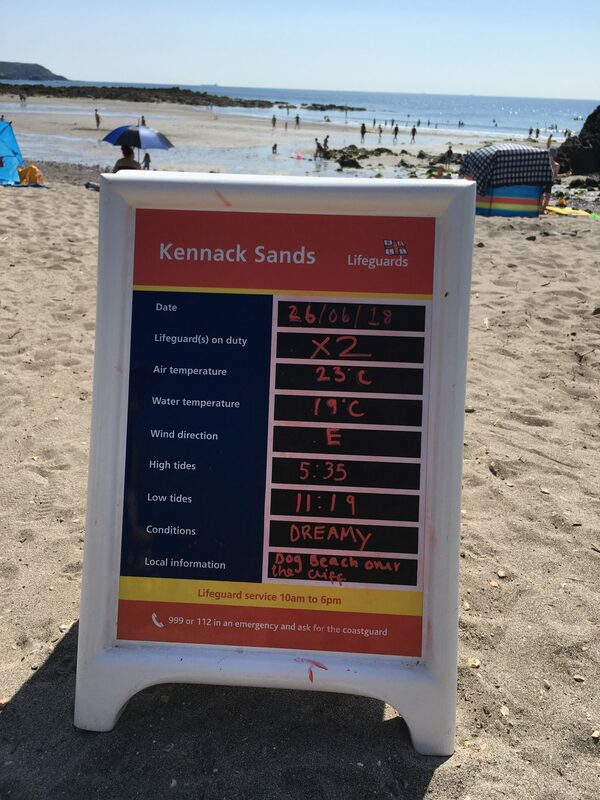 Kennack Sands has a wide sweep of sand, lots of rock pools and a little stream which our boys enjoyed damming and re-routing. There’s also a couple of cafes and public toilets so if the weather’s good it’s very easy to spend a whole day there. 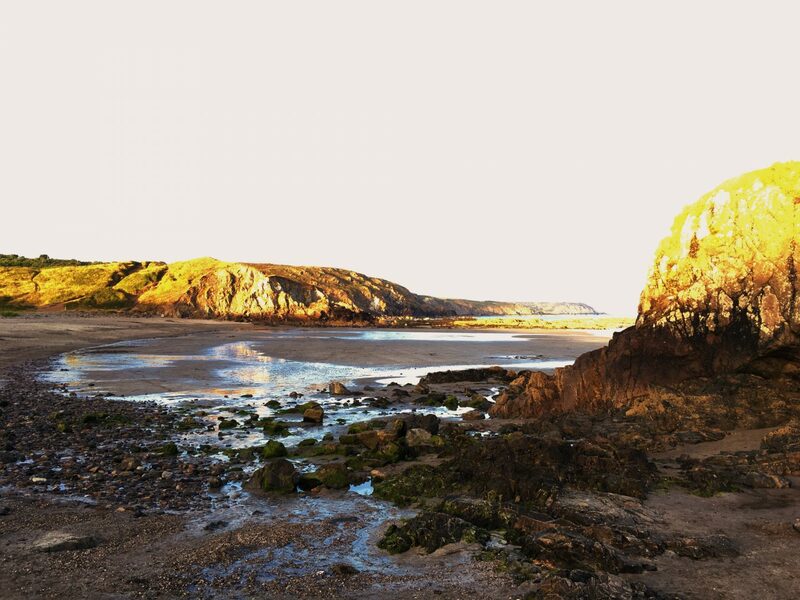 We wandered down to Kennack Sands in the evenings, it was usually deserted and at low tide utterly beautiful. 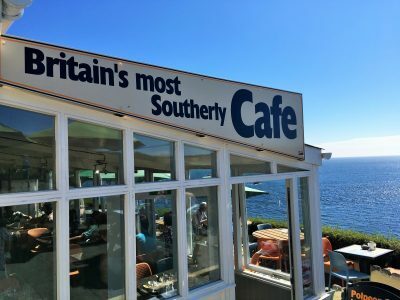 As my last trip to Cornwall was around 20 years ago and primarily involved camping and rock climbing as a skint student, I was seriously out of date when it came to the “foodie scene” which has developed in Cornwall. There were so many enticing restaurants, cafes and pubs, it was hard to know where to start. 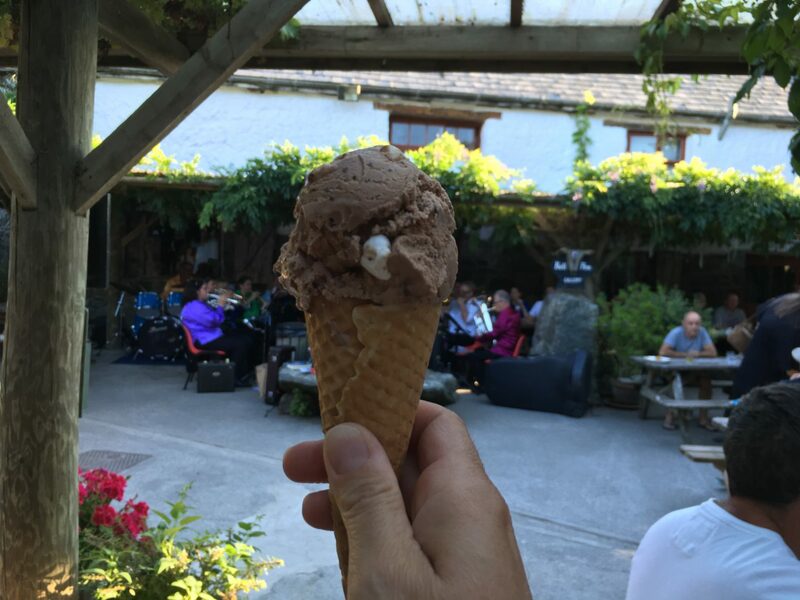 Along with plenty of fresh fish, highlights included tasty pizza and ice cream one evening at Roskilly’s Farm, where a brass band entertained diners on a vine covered terrace and a delicious lunch at the Holy Mackerel Cafe in Helford, where the mackerel was indeed heavenly. We’d heard great things about the eateries in nearby Porthleven but didn’t quite make it there, one to return to another time I hope. 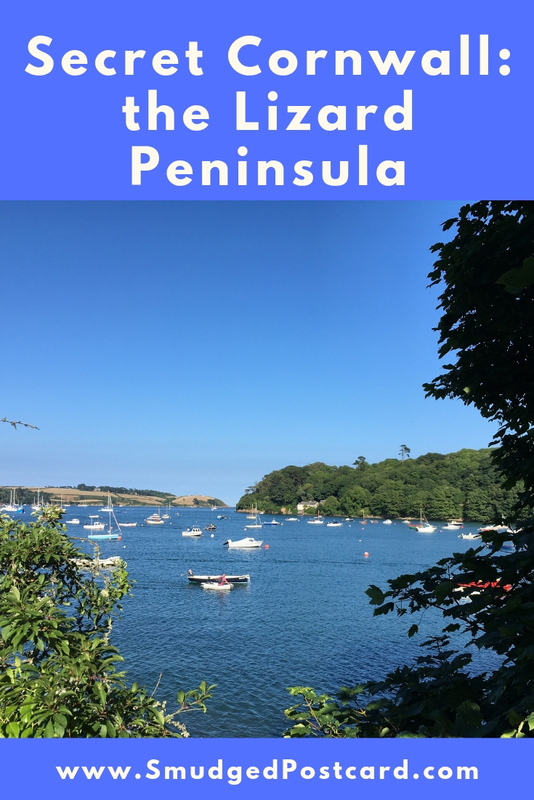 We visited Helford twice, such was its appeal. I hadn’t expected to fall in love with a river in a destination famed for its beaches. 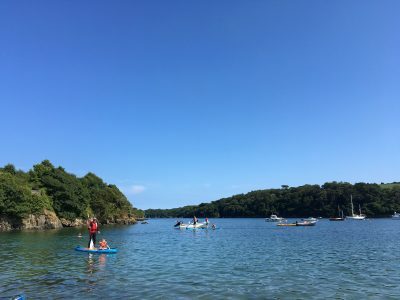 I can’t really pinpoint what we loved about the River Helford, it felt like a million miles from anywhere, a laid back little spot perfect for kayaking and paddle boarding and generally whiling away the time doing very little. 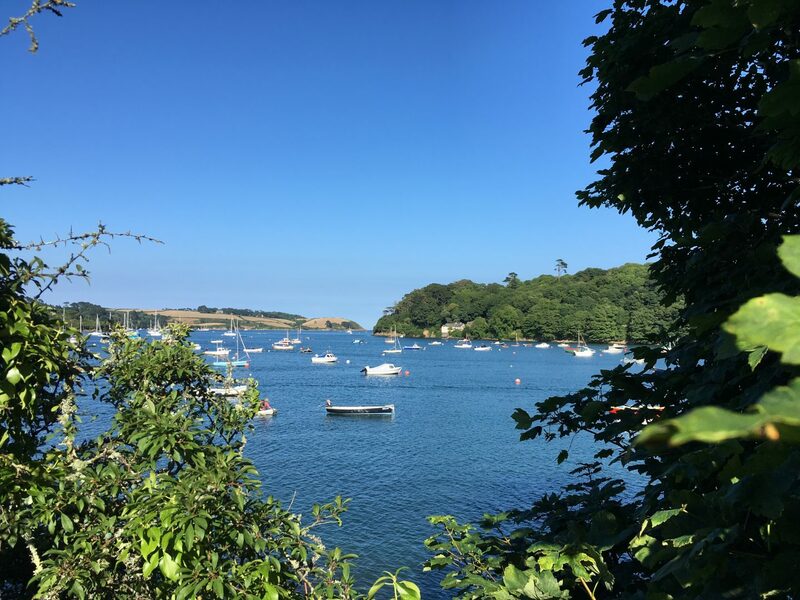 The boatmen who took visitors on the little passenger ferry from Helford village over to Helford Passage were very amenable to our boys’ requests to captain their boats. 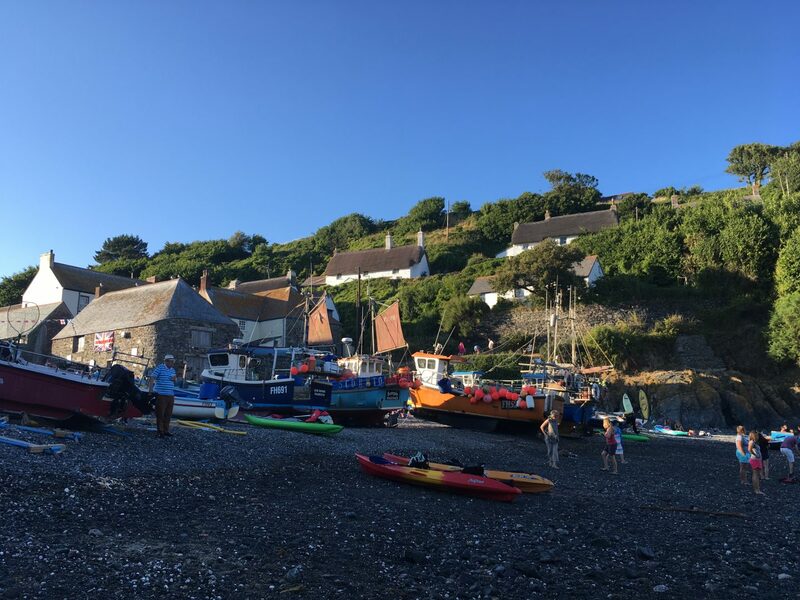 The small beach at Helford Passage is backed by the 300 year old Ferry Boat Inn, perfect for a quick drink after a busy afternoon messing about on the river. Helford River Boats operate a little kiosk next to the beach where water sports can be arranged and an essential ice cream can be purchased. 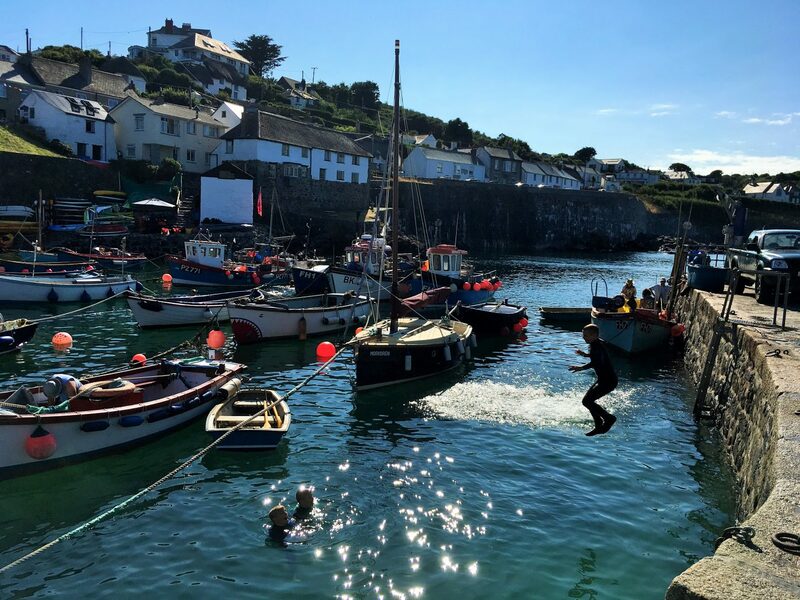 The Lizard Peninsula has some lovely fishing villages but our favourite was Cadgwith Cove. 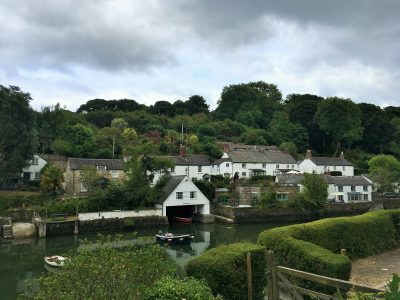 It has the pretty cottages with flower-filled gardens and colourful fishing boats which other harbours feature but the highlight was without doubt its BBQ night. 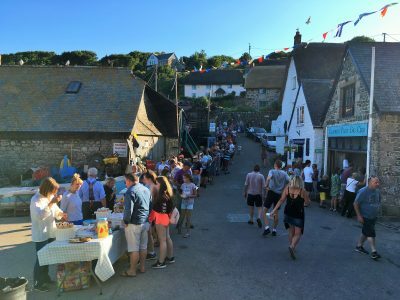 Organised by the fishermen and other residents, it’s a weekly fundraiser in the summertime for local charities such as the life boats and the village Christmas lights. There was a real party atmosphere as locals cooked king prawns, shark and monkfish (as well as sausages), with homemade cakes for dessert. 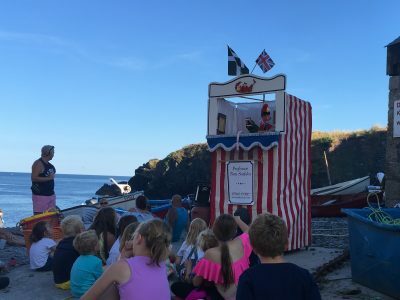 While we sat on the pebbles eating our dinner, we were entertained by Punch and Judy, a show which had the adults and children in hysterics. There was much talk, from the puppeteer and among some of the grown ups as to whether such a show should still be permitted, many seaside towns have banned it. I’m undecided but I did love watching it. 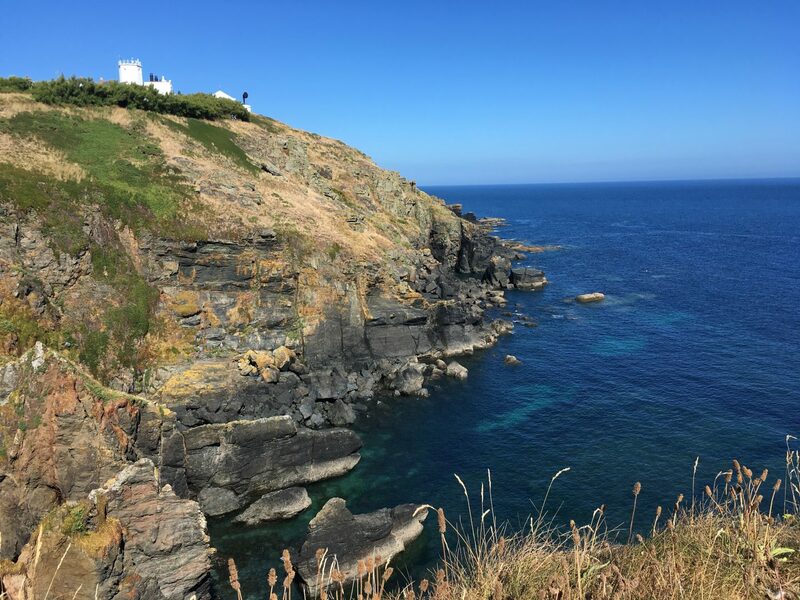 Forget Land’s End, Lizard Point, the most southerly place in England is more beautiful, less crowded and less likely to burn a hole in your wallet. It’s managed by the National Trust so car parking is free to members. We enjoyed a particularly scenic cream tea at Polpeor Cafe before wandering down to the old life boat station. We didn’t make it into the Lizard Lighthouse as the weather was so beautiful we wanted to stay outside, the walk along the clifftops is stunning. We journeyed out of the Lizard Peninsula only once to visit the Minack Theatre, Porthcurno beach and St Michael’s Mount (rather a busy day) but it was delightful to spend most of the week hidden in this almost forgotten corner of Cornwall where roads were surprisingly empty, the beach car parks (except Kynance Cove) always had spaces and restaurants always had tables available outside. We loved the many fishing harbours where it was easy to just sit and watch the world go by. 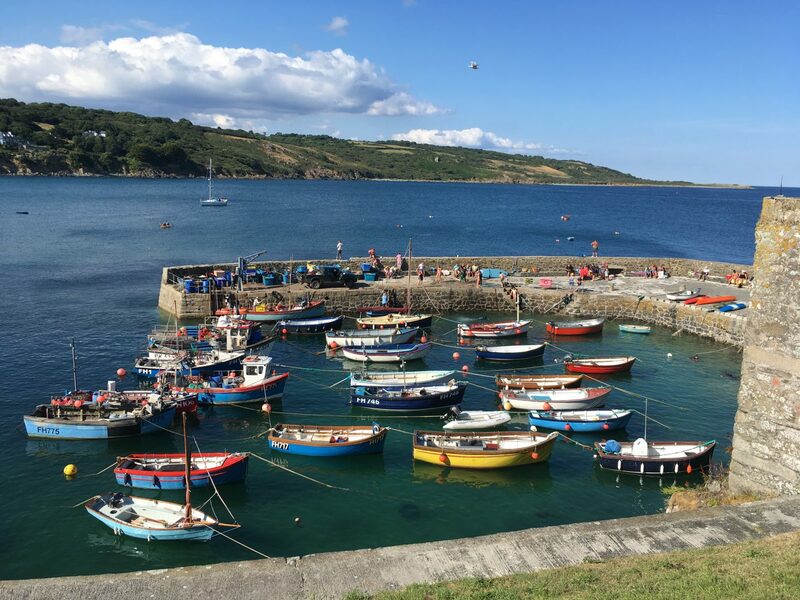 As the south coast’s answer to foodie Padstow, I’d hoped to enjoy some freshly caught fish in one of the many favourably reviewed restaurants in Porthleven. However, we simply didn’t have enough days in the week. Given the harbour’s reputation for being battered by storms, maybe we should return in the winter to experience a more dramatic version of Cornwall. I’m sure my boys would have loved learning about the rescued seals at the Cornish Seal Sanctuary near the village of Gweek. The seals are generally rehabilitated and then returned to the wild. I’m not a big fan of theme parks but Flambards, which started life as an aviation museum, sounds like a good one. As well as the usual rides (think rollercoasters and log flumes) there are also some fun and educational indoor attractions such as a recreated Victorian village and a London street during the Blitz. I’d love to spend more time walking along the coast of the Lizard Peninsula. 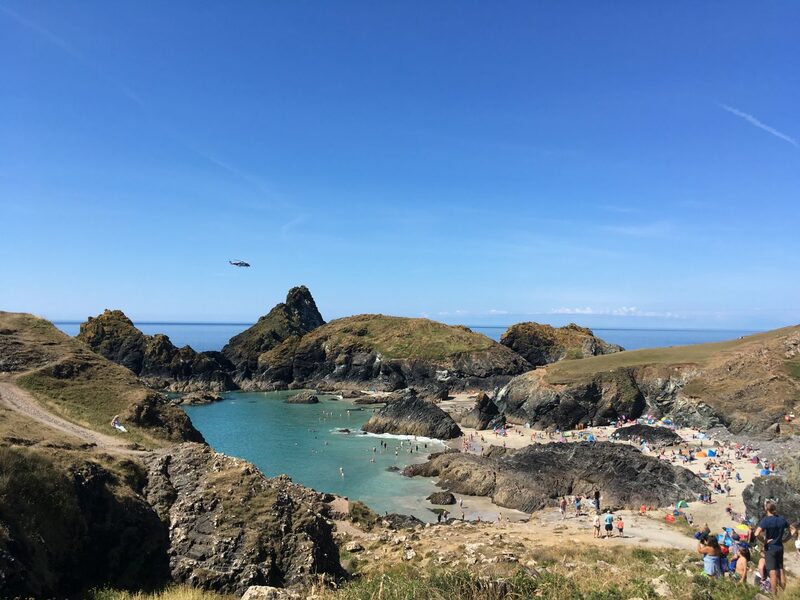 There’s plenty of information on the South West Coastal Path website where you can filter the walks to search for those including a pub or child-friendly features. Despite or perhaps because of the dark and dangerous nature of mining, a guided tour of an underground mine is such an appealing day out for children. Poldark Mine is a former tin mine with a history dating back over hundreds of years. I know my boys would love it. Another National Trust-managed area, the two beaches at Gunwalloe sound lovely: Church Cove is overlooked by a tiny medieval church and is great for snorkelling and rockpooling while neighbouring Dollar Cove is so-called due to its shipwreck history, are there any dollars left to find I wonder? 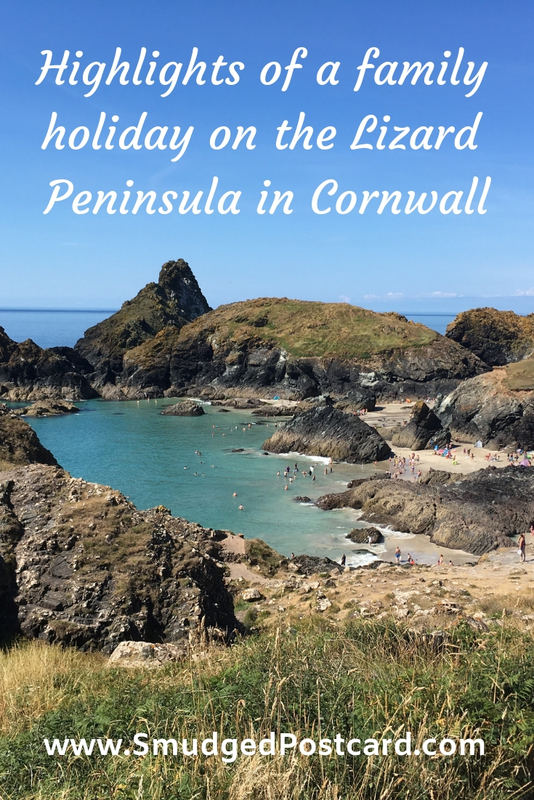 Have you visited the Lizard Peninsula? What were your highlights? Let me know in the comments below. I think Flambards looks really fun. Useful to know there’s lots of fun stuff to do just in case this beautiful summer was a one off…! I found Clare’s post really useful when I was researching the trip. It’s a really special place. Your post was very useful when I was researching our trip Clare! 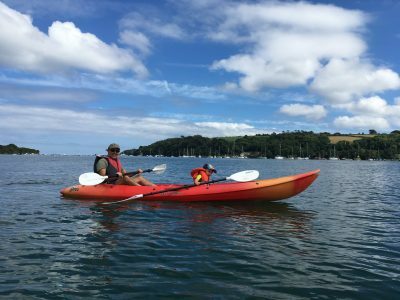 I really want to explore more of the Helford River having read Frenchman’s Creek once we got back home. I need to get my children’s kayaking skills improved upon for our next visit. I wondered about reading Frenchman’s Creek! We kayaked down there. Was it a good read? Yes, I enjoyed it. Parts did feel a bit dated but over all it was a great read and it was good to have a gutsy heroine! Cornwall is so big, I feel like I’ve only scratched the surface! We’re very lucky when the sun shines on our summer holidays! Cornwall is our happy place – we go every single year without fail. We normally stay in Bude on the North Coast, though I’m desperate to venture further South West to explore all these gorgeous places I keep reading about. It look so beautiful! I’ve bookmarked this post so I can refer back to it for tips on places to go if, no – WHEN, we eventually make it down there. I’d like to explore the north! When I was living in London I never quite made it all the way to Cornwall and now I’m wishing I had! Thanks for this very detailed post. Next time we cross the pond and visit London with the kids we will have to carve some special time out for Cornwall! I was impressed my how many international visitors we had in Cornwall this summer. It’s a long way to travel but it’s definitely worth it!